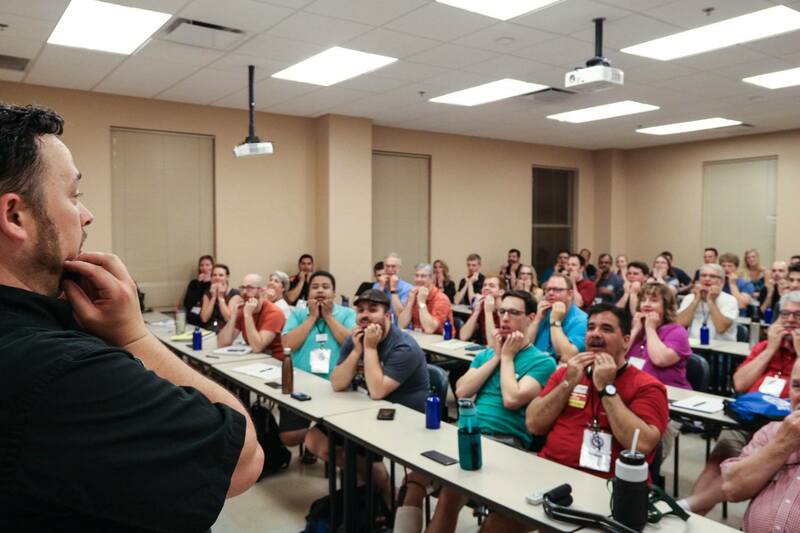 Hal Leonard Publishing says: "Get Guys Singing with Barbershop Harmony"
The new school year is here - and doesn't every choir director wish they had a way to get guys interested in joining choir? With a renewed interest in a cappella in pop culture, barbershop harmony is a great way to do just that. 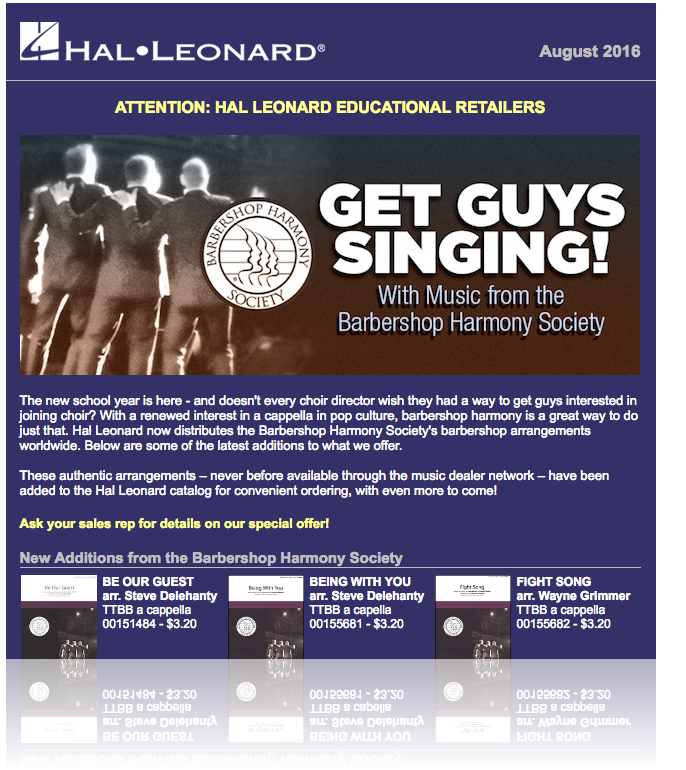 Hal Leonard now distributes the Barbershop Harmony Society's barbershop arrangements worldwide. Below are some of the latest additions to what we offer. These authentic arrangements – never before available through the music dealer network – have been added to the Hal Leonard catalog for convenient ordering, with even more to come! Isn't it great that our sheet music sales advance our mission of spreading barbershop to new audiences, in addition to generating revenue? Win! Read more: Get Guys Singing with Barbershop Harmony.